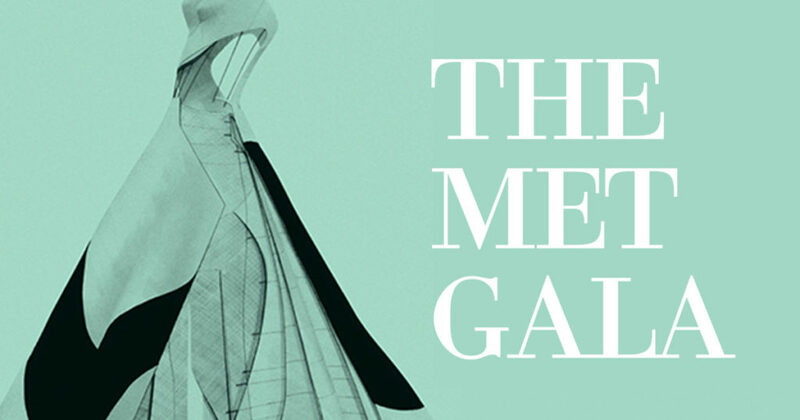 New York City’s annual Met Gala: artists, musicians, and stars from all generations and backgrounds flood the red carpet in a parade of high fashion, modern muse, and geometric glamour. The fashion, artistry, and cultural and historical influences that they showcase capture our attention and fuel us with inspiration. What follows is our perspective on the night’s most compelling pieces. This celebration of the arts is a fundraiser for the annual costume exhibit at the Met, which features a history of works within each year’s theme. What the public awaits, however, is the appearances of musicians and movie stars who come dressed in art themselves, sporting the modern versions of the theme at hand which are created by the top fashion designers of the world. The Met Gala promises to bring out creative twists and edgy elements from leading designers, and seeing their unique, modern spin on the gala’s theme is by far our favorite part! 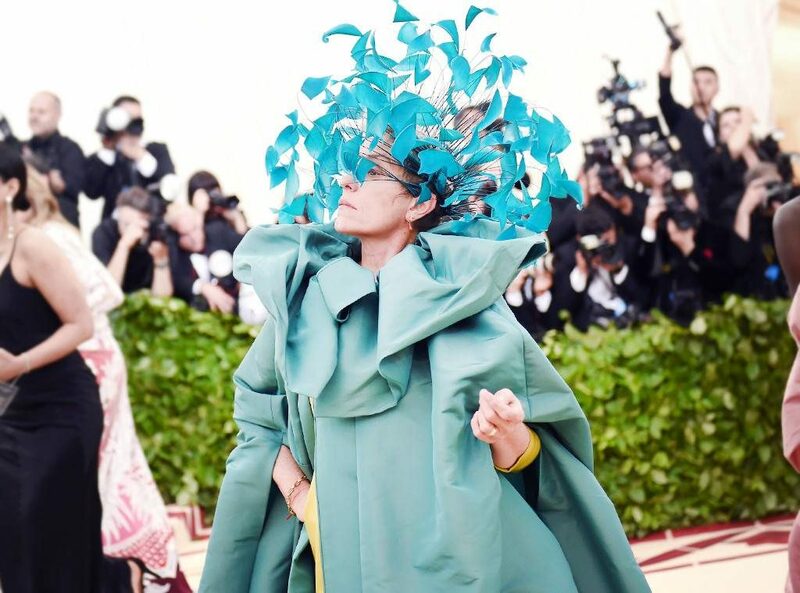 The 60-year-old two-time Oscar-winning actress, Frances McDormand, showed up bold in blue with a look that captured our attention, as well as our hearts. Dressed in a billowing design, McDormand sported a sleek chartreuse dress from Pierpaolo Piccioili’s Spring 2018 show and cool blue Valentino cape. Topped off by a brilliant headpiece by London Milliner, the actresses face was covered by the elaborate artistry that captured our attention. 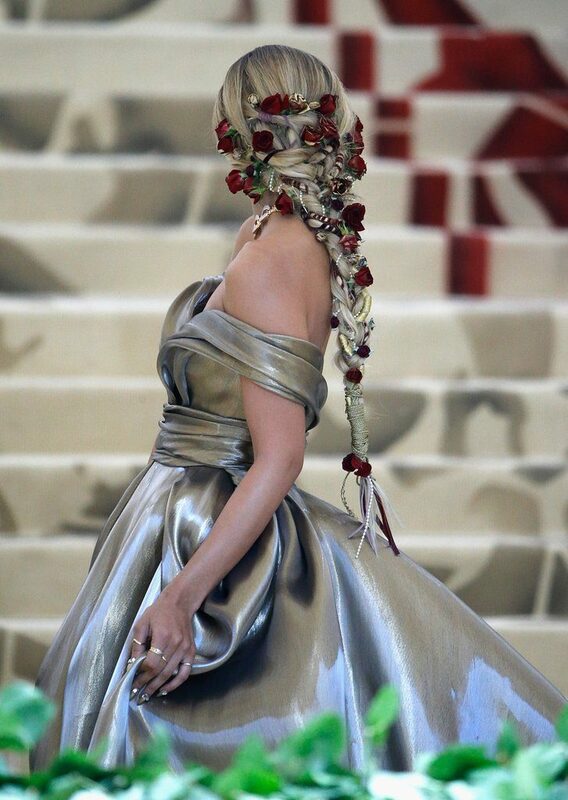 Her first Met Gala, Jasmine Sanders, known by her Instagram followers as Golden Barbie, stopped the show with a golden glow. The brilliant finish of her billowing dress was custom designed by the popular retail chain, H&M. The 26-year-old model has worked with the company for years, and was able to work alongside them to design a modern metallic beauty that wowed the red carpet. Dressed in head-to-toe black with an ironically elegant gown, the American actress Cara Delevingne, came dressed for the theme. A floor-length fishnet dress detailed by sheer paneling and a simple black bikini, looked uncannily similar to a traditional Catholic confession box. Of course our list would not be complete without mentioning Rihanna’s showstopping getup. 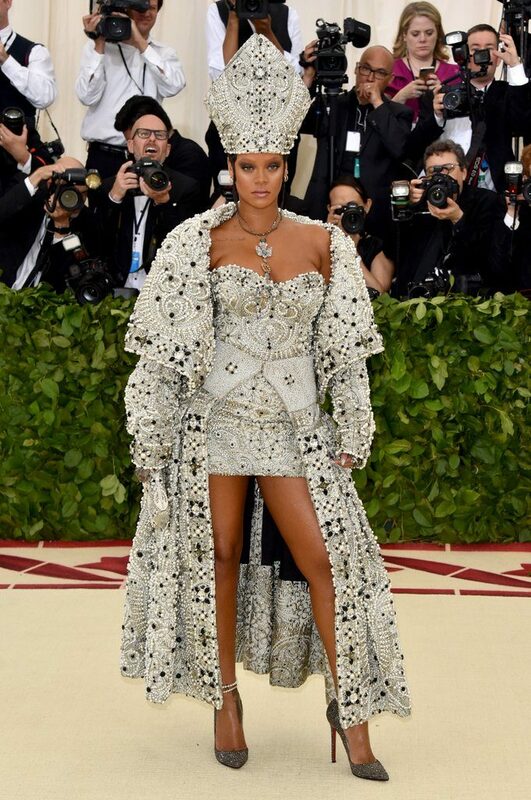 Dazzling and divine, the Grammy-winning singer and official co-chair of the event arrived at the gala dressed akin to an actual pope. From the intricately beaded headdress to the detailed mini-dress and down to the long breathtaking overcoat, designer Maison Margiela took a modern spin on classic Catholic tradition and truly outdid herself. Between the artists behind these heavenly looks and the artists who wore them, we loved seeing all that the Met Gala 2018 had to offer and are inspired by the artistry that was so evident.